Unclaimed dividends lying with companies as of June 2017 is staggering Rs.9100. IEPF (A separate post is required on IEPF) holds another Rs.1700 Crs. After seven years the companies should transfer the unclaimed dividends to IEPF. This means, average dividend accumulation is Rs.1300 Crores per annum. Based on Nifty 500 dividend yield as on 3rd October, 2017 is 1.15. S & P BSE 500 dividend yield for 2016-17 is 1.27. 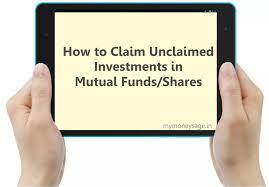 Applying the higher number, value of unclaimed shares in Indian listed companies is at least Rs.1,00,000 Crores. There are companies that do not declare dividend. There is Mutual Fund and there are unlisted companies like Cochin International Airport Limited which has good value. If we add all these, unclaimed investments in Indian corporate sector may well be double our estimate. 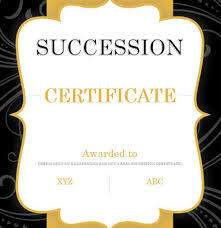 Okay, what has it got to do with Succession Certificate? There is. We will come to it in a moment. Based on our experience in harnessing forgotten wealth, we can say that typical process of slippage is like this. Demat was introduced in 1996 and made compulsory for trading in 1999. 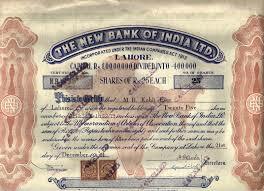 Generally, shares become unclaimed in case of shares that came out with IPO or rights issue or FPO before 1996 or paper shares traded between 1996 and 1999. Also, quite some time was elapsed before Nomination facility came into being for Demat accounts. Many started getting interest in stock markets after Reliance’ success in late 1970s and Harshad Mehta boom in 1980s. Back then economy was not like today and one needs to earn quite a bit to invest in markets. That is our investor is typically in his 40s in late seventies. Today’s octogenarian at the minimum. They typically kept their wealth in trunk box and stored in the loft. Family was blissfully ignorant of father’s investments. Demat account is compulsory only for trading. Paper is still valuable. Just that it lacks nomination facility and rendered useless for legal heir unless substantial work is done on them. When a shareholder dies intestate (without leaving a will) legal heirs of the deceased become eligible to claim ownership. However, they need to prove the credentials. One of the basic requirements is death certificate of the deceased and legal heirs certificate issued by the local administration of the place of death. These are just a start. Then there is whole gamut of documentation such as transmission forms, indemnity bonds, no objection affidavits from legal heirs, banker’s certificates, notary signature etc. It is part of this series and transmission will have a separate post. As per SEBI guidelines, in case of paper shares, if the value of a share held by the deceased is more than Rs.2,00,000/- we should obtain succession certificate. It is mandated by SEBI Guideline and District Judge is the judicial authority to issue succession certificate. If it is a Demat account, if the value of portfolio is over Rs.5,00,000/- Succession Certificate is mandatory. How to apply for ”Succession Certificate”? Appropriate application should be made to The District Judge. Jurisdiction is decided by place of death or situation of property. Enactments to the grant of succession certificate or to the validity of it in case of it was granted, must be mentioned. In this case, the SEBI guidelines should be mentioned. There upon court will call for witnesses and agree to issue the certificate. Once this is done court fee needs to be paid depending on the value of the assets. Court fee in many states are quite reasonable. In Andhra Pradesh and Karnataka, maximum court fee payable does not exceed Rs.35,000/- Tamil Nadu has increased it to flat 3% on the market value of the asset mentioned. This is unreasonably high for high value inheritors. Let’s say someone left 1000 shares of ITC. Today the value is around Rs.2,65,000. To claim this one has to apply for Succession Certificate through an advocate paying Rs.30,000 to Rs.50,000 as fees, give newspaper advertisement for Rs.5000/- and pay about Rs.8000 in stamp duty. This means, someone will have to spend Rs.43,000 to Rs.63,000. Net claim is about Rs.2,00,000. In that, they have to pay to professionals like us. If there are three heirs, what incentives will they have to go to court five times before getting the certificate? No wonder, over Rs.1,00,000 crores in forgotten wealth is waiting to be unlocked. On the other end of the spectrum, let’s say someone has a portfolio of five crore rupees. Tamil Nadu Government requires them to pay Rs.15,00,000/- just to tell that they are indeed owners of this tax paid money. This is greed at best and anarchy at worst. Tamil Nadu Government is clue less with their finances and are resorting to indiscreet taxation wherever possible. There has to be a more reasonable court fee structure for obtaining succession certificates. SEBI increased the limits to Rs.2,00,000 as threshold for obtaining succession certificate. They have given power to individual companies to increase the limits if they so wish. Obviously, none of the companies seem to wish. Whose father, what goes? SEBI should seriously look into it. S & P BSE 500 was at 5800 points in 2012 and it is today at 11000 points. So, there is a case for at least doubling the limit. In this scenario, no small portfolio holders are making any serious attempts to recover the wealth and one can’t blame them. Let’s assume for a moment all of them approach District Courts for a succession certificate, there would be over a million applications in the 600 District Courts. Do we have the bandwidth? This is an unfair bonanza to Government of India through IEPF route and there is an incentive to do nothing. Our line of business is “Harnessing Forgotten Wealth”. We are seeing so many deserving cases where reclaiming these shares would go a long way in improving the finances of the family. There is a clear case of increasing the threshold for Succession Certificate to Rs.5,00,000/- in case of paper shares of a particular company or to Rs.15,00,000/- for Demat portfolio. Hope SEBI takes notice and does something real fast. Here, the Government’s fairness and equity is put to test. Hope it does justice.